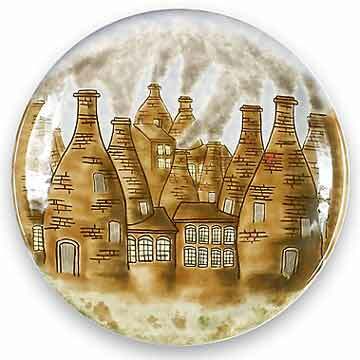 Cobridge bottle kiln plate - 10" (254 mm) diameter. 1998. This is a trial piece for the diesign that became known as 'Cobridge' - the first of the 'Industrial Landscape' designs.